On an average a woman in Indiana loses her life every three days to cervical cancer, a disease that is nearly 100% preventable. Cervical Cancer-Free Indiana (CCFIN) believes that by providing appropriate education and information on preventive services and community resources we can protect women from developing this deadly disease. By increasing awareness about the Human Papillomavirus (HPV) and its link to cervical cancer, and by increasing access to HPV vaccination and cervical cancer screening, CCFIN hopes to lower the rates of diagnosis and work towards the eradication of cervical cancer in our life time. CCFIN programming has been developed to target disadvantaged, racial and ethnic communities, which have significantly higher incidence rates of HPV infection and cervical cancer. Lake County, Indiana, which has one of the highest incidence rates of cervical cancer incidence and mortality rates in the state, has been designated a primary CCFIN target area. 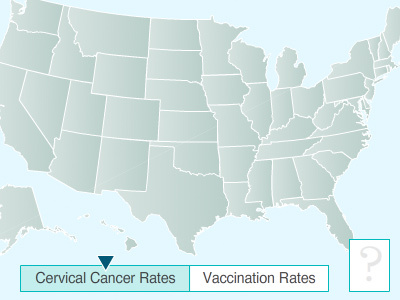 In 2011 CCFIN launched the Cancer Education Network that provides face to face cervical cancer/HPV education prevention to the medically underserved patients in Marion County, Indiana clinic sites. Community partners and stakeholders have joined forces with CCFIN to enhance our efforts in raising community awareness and access to health care. The Kristen Forbes EVE Foundation and the Indiana University School of Nursing are representative of the advocacy groups, health educators, providers, agencies, coalitions and corporate partners that assist us in our approach to reaching our local and statewide goals. For more information on Cervical Cancer-Free Indiana, please contact Rivienne Shedd-Steele at rsheddst@iupui.edu. Dr. Zimet will work with Cervical Cancer-Free Indiana (CCFIN) director, Rivienne Shedd-Steele, to provide leadership for CCFIN initiatives. Dr. Zimet is a clinical psychologist and Professor in the Department of Pediatrics at Indiana University School of Medicine. 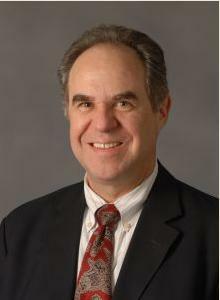 He is also co-leader of Cancer Prevention and Control for the IU Simon Cancer Center. Dr. Zimet has carried out numerous research studies related to HPV vaccination and also has an interest in behavioral/psychosocial issues related to HPV testing. He works with several researchers in multiple disciplines at Indiana University, throughout the U.S., and around the world on HPV-related studies. Rivienne Shedd-Steele is the director for CCFIN as well as the director for the Office of Health Disparities and Outreach at the Indiana University Melvin and Bren Simon Cancer Center in Indianapolis, IN. In her dual directorship role, Shedd-Steele develops programs that enhance patient-provider communications and programs that improve cultural and linguistic competency in delivering health oriented services. She also develops systematic approaches to improve the coordination and utilization of behavioral and clinical research and program outcome evaluations. Shedd-Steele previously served as the partnership program coordinator for the National Cancer Institute’s Cancer Information Service (NCI/CIS) Midwest Region. Shedd-Steele has co-authored peer-reviewed publications addressing barriers in recruiting minorities into research and the meaning of health in mammography screening for African American women. 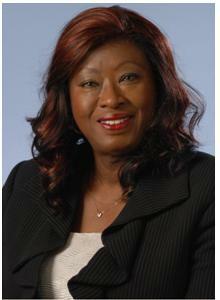 She has earned serveral awards, including the 2010 Dr. Herald Burdette award from the IU School of Nursing that recognizes support of behavioral oncology research; 2006 National Cancer Institute’s Spirit of the CIS Award, Best Education Program Practice Awards from the National Black Leadership Initiative on Cancer and the National Cancer Institute’s Award in Recognition of Outstanding Minority Cancer Education and Community Outreach.